This question assumes that everything, including God, is subject to the limitations of time and space, as man is; that there is nothing outside of time and space, an assumption that the scientific community has questioned and virtually dismissed since Albert Einstein’s theory of relativity. Einstein showed that time can actually be altered, slowed down, speeded up, when objects begin to travel at extremely high speeds. This would suggest that the common concept that all things originate and operate within the context of fixed time and space, that nothing exists outside of time and space, is not necessarily correct. While not totally understandable, the facts do make it easier to accept the biblical teaching that God exists outside of time and space as we know it (Psalms 90:4; Colossians 1:17; II Peter 3:8). To accept that God exists outside the time and space framework as we know it renders any question of where He came from and what He was doing before He created what we know as the universe totally meaningless. These questions might be legitimate if God is subject to time and space, which He is not. The Bible teaches that God is not bound by time or space, and that He has not chosen to reveal to us (from our perspective) all that took place before He created the universe. 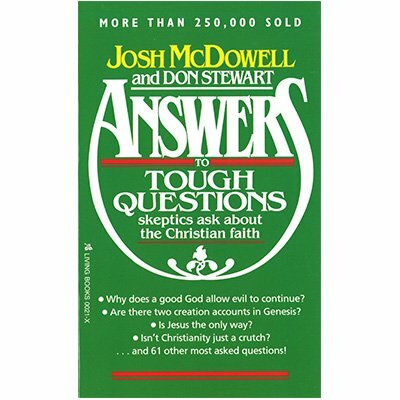 © 1986 Josh McDowell Ministry. All rights reserved. Learn more on our Apologetics blog!